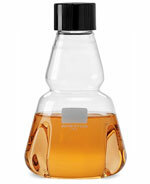 These clear glass shake flasks are available in 6 sizes ranging from 50 ml - 2000 ml (2 L) and each flask has 3 baffles. 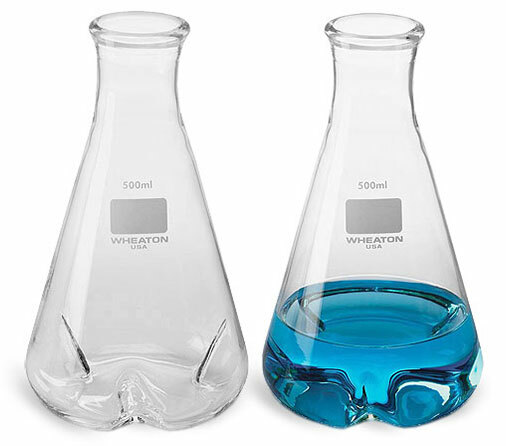 The glass flasks are designed to be used with rotary or reciprocating laboratory shakers, and are made of clear low extractable borosilicate glass. 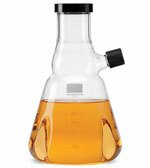 The design of these flasks promotes maximum aeration to improve growth rate during cell culture procedures. 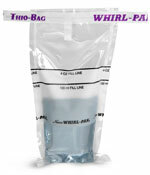 Shake flask necks feature shatter-resistant lips and can accommodate cotton plugs or stoppers.